On Friday 29th June, The Russell Square Cabmen’s Shelter will be holding a Charity Day to help raise money for our charity, which was founded in 1928 in this actual Cabmen’s Shelter when it was located in Leicester Square, before being moved to Russell Square some decades ago! 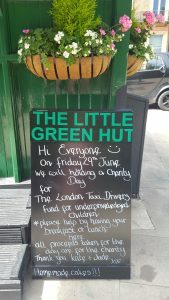 All food and drinks served on Friday 29th June day will be free when a donation is made to the charity. There will be delicious homemade cakes to purchase by way of donation and there will also be a raffle draw with some fabulous prizes up for grabs! 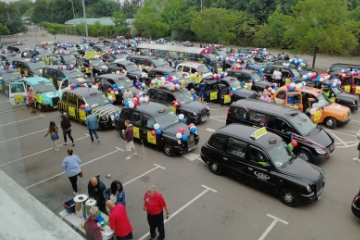 We are kindly being assisted by a team of volunteer London taxi drivers who will be fundraising for us on the day by collecting donations and donating their tips for the day. 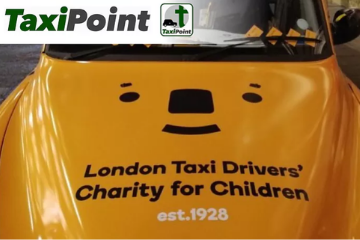 Taxi drivers will be able to collect A5 posters (to display in their cabs) and collection tins from the Russell Square Cabmen’s Shelter from Monday 25 June. 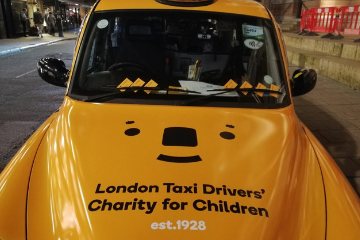 The Cabmen’s Shelter Fund was established in 1875 to run shelters for the drivers of hansom cabs and later hackney carriages. Between 1875 and 1914, 61 Cabmen’s Shelters were constructed. Today, only a few working shelters remain, they are all Grade II listed buildings and they are all still run by the Cabmen’s Shelter Fund. 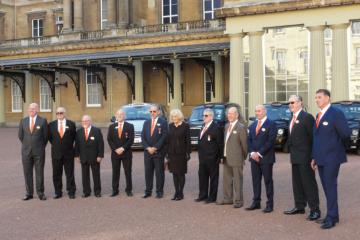 Katie Simmonds has run the Cabmen’s Shelter at Russell Square for the last 4 years.